As a luxury watch owner, you know that when it comes time to sell your watch, you shouldn’t trust just anyone. You need a company of watch experts - a company that knows the market, and that knows how to get you the highest market value possible for your valued timepiece. 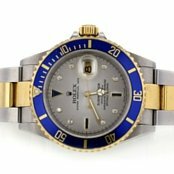 Whether it’s a Rolex, Patek Philippe, Cartier, or any of the many luxury brands we specialize in, when you sell your watch on Worthy.com, our watch experts will make sure you receive the highest offer possible from the hundreds of watch buyers that participate in our daily auctions. Description. Describe your watch the best of your ability. Be sure to include mention of any paperwork you may have. Trending Price. Based on the description and similar watches auctioned on our platform, we’ll formulate a trending price. Evaluation. You will receive a pre-paid shipping label addressed to our facilities for authentication and evaluation. Reserve Price. The experts at CentralWatch will examine your watch and compose a detailed report on it. We then take HD photographs of your watch to display at auction. At this stage you are given the opportunity to set a reserve price. Auction. Buyers are invited to view and place competitive bids on your watch. If the highest bid meets or exceeds the reserve price, the sale is confirmed and the money is sent to you. If the auction ends below the reserve price, you have the option to decline the sale and we will return your watch to you fully insured, free of charge. I am so happy with Worthy. I received more money than I expected. Why Should I Sell My Watch With Worthy? We get you the most for your luxury watch. 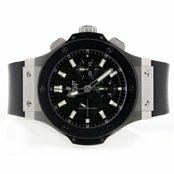 Worthy.com specializes in helping people to sell luxury watches. We know the market, and have the expertise that can help you receive the highest market value possible. We bring the market to you. Worthy.com finds hundreds of qualified, interested watch buyers from across the nation, presents your watch for auction and facilitates the bidding process. There is no need to go around to multiple to local watch shops. We value trust and transparency. We hold a Secondhand Dealer's License issued by the New York City Department of Consumer Affairs and are accredited by the BBB. Additionally, all items are insured both while in our secure facility and in transit, giving you the peace of mind that you deserve. We are experts. Because all luxury watches are unique, we take great care in selecting the evaluator who is best qualified to authenticate and describe its qualities. For evaluating watches in the highest detail possible, we trust CentralWatch an iconic watch shop located in Grand Central Station in Manhattan. We trust CentralWatch to confirm the authenticity of watches auctioned on Worthy, providing detailed descriptions that buyers can trust. 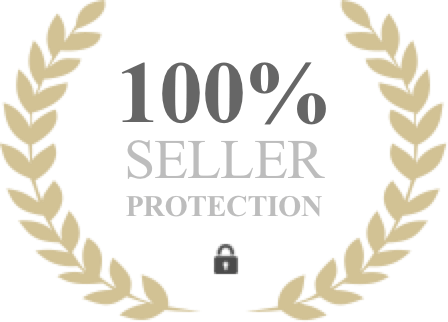 More About Our Seller Protection Policy. Our unique auction platform targets interested and qualified watch buyers across the nation to bid for your watch– making sure you receive the highest price possible. We cover all of the logistics and expenses of shipping, insuring and presenting your watch at auction, all the way to the end watch buyer. When you sell a luxury watch, the quality of your photographs can greatly affect the perceived value. Worthy.com takes the guesswork out of how to photograph your watch– our experts do everything for you, assuring the highest offers possible. Many luxury watch owners aren’t aware of the potential value of their timepieces. In November of 2013, a 1957 Patek Philippe fetched 2.2 million at auction, with another model selling for 1.6 million. While this is an unusual case, in general, luxury watches can increase in value and prestige over time, and could potentially be worth significantly more than you think. What Will Affect the Value of My Watch? 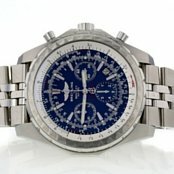 Why Should I Trust Worthy Over a Local Watch Buyer? We understand why you may want to go to a watch shop near you as it is a familiar and trusted place to buy and sell watches. There may however be some downsides to going to your local watch dealer. Beginning with one thing, bias. Watch shop owners have a business to run and may not profit from buying your watch, especially if you have no plans to immediately replace it. While they may certainly be trustworthy, their priorities, and thus their offer may differ from that of a large marketplace such as Worthy. We take pride in offering the trust and familiarity of a watch shop nearby, with the power of an auction platform. 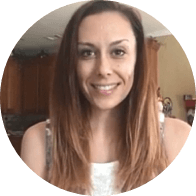 Worthy provides up to $100,000 in insurance coverage for every shipment. We trust Lloyd's of London, a global leader in insurance since 1688, to protect all valuables auctioned on our platform. Everything went great, the process was seamless! ©2011-2019 Worthy, Inc. All rights reserved.